On December 28, 2016, at approximately 11:32 p.m., Corporal Ralph Burdick attempted to make a traffic stop in the area of Sheppard Access Road and Old Iowa Park Road. The vehicle failed to stop and led several deputies on a high speed chase into Oklahoma. Spike strips were deployed by an Oklahoma State Trooper and the vehicle was stopped. The driver, and sole occupant of the vehicle, exited the vehicle and led deputies on a short foot chase before being taken into custody. The 58 year old male was arrested and taken to the Cotton County Jail where he is being charged by the Oklahoma Highway Patrol with Running a Roadblock. He will be extradited back to Wichita County at a later date and face additional charges. On December 29, 2016, at approximately 11:32 p.m., Corporal Josh Brown conducted a traffic stop in the 2100 block of Kell West Boulevard. The 51 year old male driver was issued a citation for Open Container and released from the scene. On December 29, 2016, at approximately 9:57 p.m., Deputy Cole McGarry conducted a traffic stop in the 1800 block of Tyler Street. The 43 year old male driver was arrested and taken to the Wichita County Detention Center. He is being charged with Possession of a Controlled Substance in Penalty Group 1 Less than 1 gram (State Jail Felony) and two outstanding Wichita Falls Police Department warrants for Expired Inspection and No Driver’s License in Possession. Wichita County Sheriff’s Office is NOT making these calls. We want to inform citizens that no fine would be levied for a missed court appearance and arrest warrants are not presented in this manner. If an individual is required to make payments ordered by a court, the payments are collected by our warrants and collections division at the courthouse. In no way would the Sheriff’s Office or any court require money to be sent over the phone via Green Dot debit cards for payment. 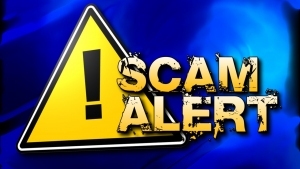 If you are contacted by this party, Do Not Give them any personal information or make Any type of transaction with them. On December 28, 2016, at approximately 8:00 a.m., Deputy Roy Biter responded to the 7000 block of Highway 281 South in reference to a burglary. Upon arrival, the reporting party stated a trailer worth $1,800 was missing from his property. The investigation is ongoing. On December 28, 2016, at approximately 12:34 a.m., Deputy Amanda Price conducted a traffic stop in the area of Rhea Road and Levell Avenue. The 30 year old male driver fled the scene on foot. Deputies and Wichita Falls Police Department searched the area and were unable to locate the suspect. The investigation is ongoing. Sheriff’s and Constable Fees for 2017 are now available for every county, including Wichita County, at the Secretary of State’s Office website. On Wednesday December 21, at approximately 3:53 pm, Deputy David Stout responded to the intersection of Roller Road and Clark Road in reference to Found Property. Upon arrival, the Reporting Person reported that he had found several tools that were in Gilbert Creek. The tools were transported to the Wichita County Sheriff’s Office and placed in evidence as found property. On Thursday December 22, at approximately 8:10 am, Sergeant Sergio Teruel responded to the 2200 block of J.B. Riley Ranch Road in reference to a Deceased Person. Upon arrival, the Reporting Person reported that a 92-year-old female was deceased. The female died of natural causes. On Thursday December 22, at approximately 8:16 am, Deputy Jeff Lee made a traffic stop at the intersection of Kell East and Allendale. The 23-year-old male driver was placed under arrest. He was transported to the Wichita County Detention Center and was charged with Driving While License Invalid-Enhanced. On Friday December 23, at approximately 12:09 am, Deputy Matthew Schenck made a traffic stop in the 4500 block of Northwest Frwy. The 19-year-old male driver was placed under arrest. He was transported to the Wichita County Detention Center and was charged with Possession of a Controlled Substance PG 3 less than 28 grams. On Friday December 23, at approximately 4:04 pm, Deputy Greg Wilson checked on an unoccupied vehicle at the intersection of U.S. 287 and Burnett Ranch Road. The vehicle was impounded after it was found to be a traffic hazzard. On Friday December 23, at approximately 11:59 pm, Corporal Ralph Burdick made a traffic stop at the intersection of 9th and Grant. The 25-year-old male driver and a 26-year-old male passenger were issued citations for Possession of Drug Paraphernalia. On Saturday December 24, at approximately 9:44 pm, Corporal Ralph Burdick attempted to stop a vehicle at the intersection of Kell and Harrison. The vehicle stopped at the intersection of Harrison and Camelot. The 37-year-old male driver was placed under arrest. He was transported to the Wichita County Detention Center and was charged with Driving While Intoxicated with Previous Conviction. On Saturday December 24, at approximately 9:38 pm, Deputy Brian Koschak attempted to make a traffic stop at the intersection of Kemp and Ave M. The vehicle fled and was finally stopped in the 3700 block of Tarry. The 37-year-old female driver was placed under arrest. She was transported to the Wichita County Detention Center and was charged with Evading Arrest or Detention with a Motor Vehicle. On Saturday December 24, at approximately 1:13 am, Deputy Brett Brasher made a traffic stop in the 2000 block of Irving. The 46-year-old female driver was placed under arrest. She was transported to the Wichita County Detention Center and was charged with an outstanding warrant for Failure to Remove Debris. On Sunday December 25, at approximately 8:53 pm, Deputy Daniel Jacobson responded to the 5400 block of Friberg Church Road in reference to a Disturbance. Upon arrival, a 22-year-old male was found to have taken an overdose of prescription medications. He was placed under arrest and transported to the North Texas State Hospital and was admitted under a Peace Officers Application for Emergency Detention. On Sunday December 25, at approximately 2:46 pm, Deputy Daniel Jacobson responded to the 600 block of Pecanway in reference to a Check Welfare. Upon arrival, the Reported Person reported that he found the 67-year-old male resident deceased. The male was found to have died of natural causes. On Sunday December 25, at approximately 10:32 pm, Deputy Greg Wilson made a traffic stop in the 2900 block of Sheppard Access Road. The 18-year-old male driver was placed under arrest. He was transported to the Wichita County Detention Center and was charged with Driving While Intoxicated-Enhanced. On Sunday December 25, at approximately 2:01 pm, Deputy J.T. Mitchell and Deputy Christopher Salas responded to the Electra Memorial Hospital in reference to an Animal Complaint. Upon arrival, the Reporting Person reported that her juvenile son was bitten by a dog while in the 2400 block of F.M. 367. On Monday December 26, at approximately 10:21 am, Deputy Christopher Salas and Deputy J.T. Mitchell responded to the 500 block of Vickers Court in reference to a Threat. Upon arrival, the Reporting Person reported that she was threatened by a subject. On Monday December 26, at approximately 5:00 pm, Lieutenant William Rutledge made a traffic stop on S.H. 240 east of F.M. 369. The 18-year-old female driver was issued a citation for Speeding and a 21-year-old male passenger was issued a citation for Possession of Drug Paraphernalia. On December 20, 2016, at approximately 2:43 p.m., Deputy Jeff Lee was dispatched to the 900 block of Wellington Lane in reference to a stolen vehicle. Upon arrival a 38 year old female was barred from the property and the vehicle was towed at the property owner’s request. On December 20, 2016, at approximately 10:08 a.m., Corporal Josh Brown responded to an area of US 287 South near Iowa Park to assist a Texas Department of Public Safety Trooper. Upon arrival Brown deployed his K-9 partner, Kimbo, to inspect a vehicle for narcotics. A total of 25.1 pounds of marijuana was found inside the vehicle. The 26 year old male driver was placed under arrest by the State Trooper and transported to the Wichita County Detention Center. On December 21, 2016, at approximately 2:20 a.m., Sergeant Mark Whipple conducted a traffic stop in the 1700 block of Sheppard Access Road. The 41 year old male driver was placed under arrest and transported to the Wichita County Detention Center. He is being charged with Reckless Driving, a Class B Misdemeanor. On Tuesday December 13, at approximately 10:00 am, Corporal Josh Brown responded to 900 7th Street in reference to a Forgery. Upon arrival, the Reporting Person reported that a subject cashed a forged check in the amount of $800.00 at his business located in the 7500 block of Seymour Hwy. On Tuesday December 13, at approximately 10:30 pm, Deputy David Stout responded to the 2400 block of McNeil in reference to a run away. Upon arrival, the Reporting Person reported that her daughter had run away from home. On Thursday December 13, at approximately 11:08 pm, Sergeant Mark Whipple made a traffic stop at the intersection of Kemp and Ave. L. The 19-year-old male driver was issued citations for No Drivers License and Possession of Drug Paraphernalia. On Wednesday December 7, at approximately 12:39 pm, Deputy Justin Mitchell made a traffic stop at the intersection of U.S. 287 and Johnson Road. The 49-year-old male was placed under arrest. He was transported to the Wichita County Detention Center and was charged with Possession of Marijuana over five pounds under fifty pounds. 37 pounds of Marijuana was seized. Also, on Wednesday December 7, at approximately 4:18 pm, Deputy Justin Mitchell made a traffic stop at the intersection of U.S. 287 and Business U.S. 287. The 20-year-old male driver and two 20-year-old male passengers were placed under arrest. They were transported to the Wichita County Detention Center and were charged with Money Laundering over $2,500.00 under $30,000.00 and Possession of Marijuana under two ounces. $29,571.00 in currency and four grams of Marijuana was seized. On Wednesday December 7, at approximately 12:35 pm, Sergeant Sergio Teruel, Deputy Roy Biter and Deputy Jeff Lee responded to the 1900 block of Pearl to serve an arrest warrant. Upon arrival, a 25-year-old male was placed under arrest. He was transported to the Wichita County Detention Center and was charged with Manufacture/Delivery of a Controlled Substance PG 1 over four grams under 200 grams and three outstanding warrants for Surety Off Bond-Possession of a Controlled Substance PG 1 under one gram, Surety Off Bond-Places Weapon Prohibited and Possession of a Controlled Substance PG 3 over 28 grams under 200 grams. 32 grams of Methamphetamine was seized. 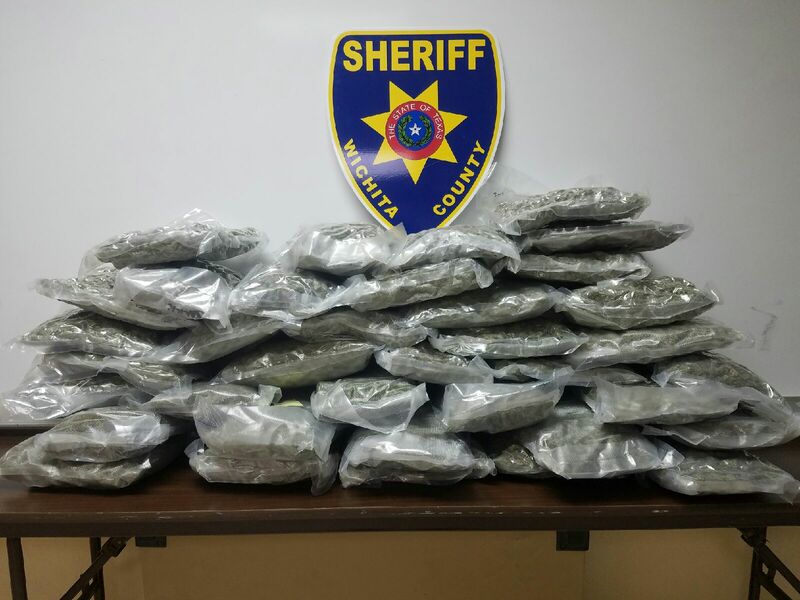 On Wednesday December 7, at approximately 4:18 pm, Deputy Justin Mitchell made a traffic stop at the intersection of U.S. 287 and Business U.S. 287. The 20-year-old male driver and two 20-year-old male passengers were placed under arrest. 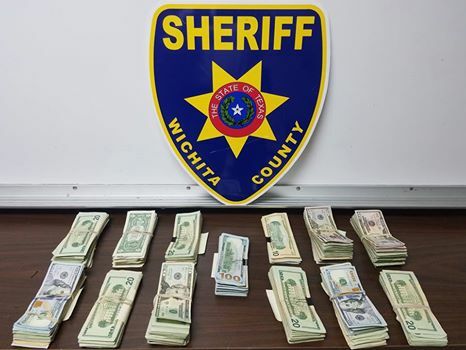 They were transported to the Wichita County Detention Center and were charged with Money Laundering over $2,500.00 under $30,000.00 and Possession of Marijuana under two ounces. $29,571.00 in currency and four grams of Marijuana was seized. On Wednesday December 7, at approximately 9:00 pm, Corporal Jeff Penney, Deputy Greg Wilson and Deputy Josh McGuinn responded to Kell West and Barnett to assist the Texas Department of Public Safety with a pursuit. The vehicle being pursued travelled west on Kell and then exited and began travelling on the Access Road. The vehicle made a turnaround at F.M. 369 and began travelling East on Kell. The vehicle exited at Brook Street, and then began travelling on Central Frwy. The vehicle exited onto U.S. 281 and travelled to Jacksboro. The vehicle was finally stopped behind Jacksboro High School. The 24-year-old female driver was placed under arrest and released to the custody of the Texas Department of Public Safety Troopers.